Social media platforms are the perfect communication channels across the globe. They provide better interaction and are outstanding ways to promote businesses. Just like Facebook, Twitter and other social media platforms, Instagram has come up with exceptional updates that are beneficial for users. Recently, Instagram introduced new algorithm factors that are expected to influence the ranking of your content. So, these updates are great for marketers as well. Do you want to know how Instagram algorithm works? To understand how the Instagram algorithm works, it’s important to know how Instagram itself works. Instagram works to show you content that grabs your attention and increases the chance that you will come back to it. User attention is what Instagram sells to the advertisers to earn money. Keeping this fact in mind, each section of Instagram is designed with creativity so that it can maximize the traffic and users attention. Now, let’s move on to the Instagram algorithm! It is introduced to evaluate the engagement metrics by knowing that how interactive or delightful the content is. Initially, the new post will be shown to a limited number of people. It measures how fast this small audience responds to the post. It may include evaluating the views, likes, saves and shares for the content. Instagram distinguishes between your recent post and previous posts to get the best of it. It recognizes the actual ratio to provide insight for the post. Whether the post is gaining less interaction or more, it examines and makes it clear the percentage of your audience saw your post. Apart from these points, there are 7 factors that comprehensively talk about recent Instagram algorithm. Here we will break down all the algorithm factors. It is determined that whenever a person or a brand posts something on social media, it is typically shown to some of the audience. By making a post visible for few individuals, publishers can see how people react to the post. If the feedback is positive, social media algorithm will show the post to more people. This algorithm is also applied to Instagram news feeds where posts with more engagement is ranked higher. As a result, with this algorithm, it is now easy to track the user engagement for the post. Initially, when the algorithm was introduced, Instagram stated that the platform would show you suggestions for the posts that you may have previously been interested in. It is like subscribed content which you can see regularly on your wall. The post or content which you liked the most and is relevant to your interests will be ranked higher. The point is, how Instagram will get to know about your interests? An alternative is to check out the genres of your posts like your hobbies related to food, fashion, travel, sports, music, etc. So, this is how Instagram’s updated algorithm works to make users are satisfied. The next most important factor of the Instagram algorithm is that it maintains the timeliness of posts. The platform works to show you the most recent posts and also make sure that they are relevant to your interests. Surfing Instagram with last week’s updates might not attract you the most. However, if you start scrolling with the new updates and news feeds, it will compel you to spend more time on the platform. This is the quality of this algorithm factor. Sharing something with friends is a tradition. But, when it comes to sharing stuff online via Instagram, it is different. Instagram makes it easy for users to share anything with their friends. According to studies, direct shares from the social platform proved to be another signal for gaining insights into your interests. So, whatever you like on your news feed can be shared instantly with individuals you want. These shares can be from the list of posts you subscribed for or the ones that you think are worth sharing with someone. This factor was introduced to improve your Instagram experience. It is all about the profile searches. When you make profile searches, it indicates that you are interested in those profiles and might not have added them to your account. Instagram then rank those posts on topmost position in your news feeds. It makes this convenient so that you do not have to search for those specific profiles. Instagram discovered that if users spend time on a particular post or posts of a similar type, it redirects them to something that they want from the same link. Thus, the stories they read and like the most reflects their interests in the same subjects. It doesn’t matter if they like or comment on their favorite posts. Their interest in them will remain same. It is true that Facebook and Instagram algorithms have many similarities. This is obvious as they both are meant to show you the posts that are relevant to your interests. 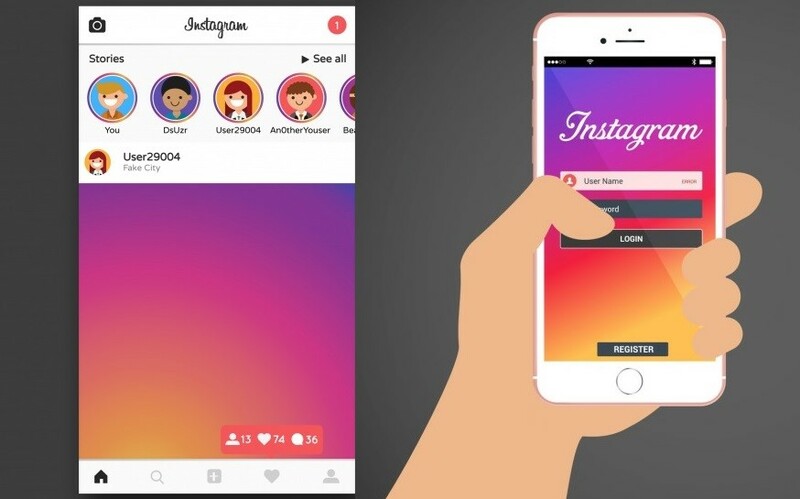 Now, you have an idea about the latest Instagram algorithm and its factors and how it works to provide an outstanding and satisfactory experience. Tom Hardy has hands on experience as a SEO Expert. He currently works at Sparx IT Solutions: SEO Services Boston and offers exceptional SEO auditing services to the global clientele. Also, he writes informative blogs and articles on various SEO related subjects that helps readers know the best tips for optimizing a website using SEO tools and techniques.